Representation by a tax attorney rather than an accountant provides significant advantages including the attorney-client privilege. Generally, statements you make to your tax attorney can not be revealed to the IRS, or anyone else. While there is a limited federal accountant client privilege, it doesn’t apply if the IRS decides to bring a criminal tax case against you. IRS criminal tax investigators are trained to contact a taxpayer’s accountant if they suspect tax fraud. It is not unusual for a client’s accountant to be forced to testify as a witness against his own client. The federal accountant client privilege also does not apply, even in non-criminal cases, to state tax audits or an investigation by another federal agency such as the SEC or the INS. 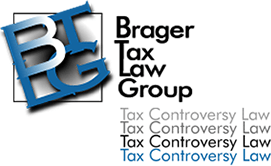 Tax attorneys are trained to analyze the law to find loopholes that can be legally used to save you money. The tax law is very complicated. It start with the Internal Revenue Code which is the statute passed by Congress and changed frequently. According to the National Taxpayer Advocate, there have been more than 3,250 changes to the tax code from 2001 to 2008, with more than 500 changes in 2008 alone -- setting an average of more than one change a day. In its 2010 report the President’s Economic Recover Board stated that there had been 15,000 changes to the code since 1986. Furthermore, the code is extremely long and continually growing: The number of words is more than 3.7 million, compared to a 1.4 million in 2001. Once Congress writes the law the IRS's tax attorneys issue their interpretations of it, including Treasury Regulations (both final and proposed), Revenue Rulings, Revenue Procedures, Private Letter Rulings, General Counsel Memorandums, Technical Memoranda, Technical Advice Memoranda, and Actions on Decisions. The courts including the Tax Court, the Court of Federal Claims, the District Courts, the Bankruptcy Courts, 13 separate Federal Courts of Appeal, and the United States Supreme Court all write opinions interpreting the tax law. Unfortunately even the IRS doesn’t understand the tax law. According to the GAO the IRS gave an incorrect response to tax law questions more than 20% of the time! It takes a tax attorney to find all the provisions of the law and interpret them in a manner which helps you.